New York, the Empire State, is one of the most populous states of whole nation. The state is ranked 27th in terms of area but is one of leading dense states of US. Immigration from other states and nations is the major reason behind piling up of population census in New York. Being 11th state to be admitted in US union on 26th July 1788, New York has overshadowed many states by empowering its economic and health status. It is 3rd highest GDP producing state in nation with focus on export and tourism. Canada is a major contributor in development of state and holds more than 21% share of its overall export. Banking and Stock Market have also made the state popular as many of the major traders have established in New York City. What is New York Board of Nursing and description of board structure? New York Board of Nursing is the regulatory board, which takes care of various nursing professions in New York State. Board is constituted of various board members who are appointed directly by the Governor of the state. Office of Professions has formed an official committee known as State Board for Professions to assist the Board of Regents. New York board of nursing is a division under nursing section of New York State Board for Professions. 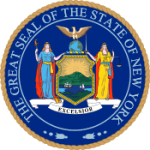 There are 29 such Boards in New York State to regulate the laws and policies for providing effective services and solutions to market problems. The New York Board of Nursing is also the licensing and certification authority for the various professionals in New York. The health care industry in New York has not seen a fall since 2002 when it raised from its dethroned position. The field gained rapid pace and has shown more than 60% growth rate since 1990. This is more than any other industry or industrial sector. NYBN has played its role very well in course of this change and has helped in development with continuous promotion programs. The Board has spread health awareness among people and assisted in providing the right career path for pursuing career in various health care divisions. The Board is a small unit of New York State Board of Professions. There are 17 members in Board of Regents. The working tenure is 5 years. The board members are appointed after considering their valuable service and efforts to raise the standard of nursing services.